Tractor-trailer accidents were to blame for nearly 1,500 fatalities among passenger vehicle occupants in 2016. These massive vehicles are capable of causing great harm when they hit other vehicles, but collisions with big rigs and semi-trucks can also be deadly when smaller, lower-riding vehicles slide under large trucks in what are known as underride accidents. A new law currently under consideration by the US Senate would make it mandatory for large trucks to carry greater protections against underride crashes. 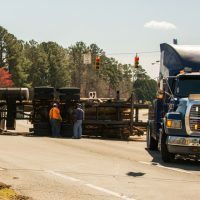 Learn more about these accidents and the potential new law below, and contact a knowledgeable Washington personal injury lawyer if you’re hurt in a crash with a commercial truck. Underride accidents occur when a passenger vehicle collides with a semi-truck or tractor-trailer and ends up wedged under the truck. These accidents often result in the truck shearing off the roof of the passenger vehicle or crushing the passenger compartment, causing serious injuries to the occupants of the smaller vehicle. For many years, there has been a federal rule mandating that large commercial trucks install an underride guard on the rear of the truck to prevent underrides in a rear-end collision. Unfortunately, these guards are not always installed, or they are not rated to withstand the full force of a collision. A study conducted by the Insurance Institute for Highway Safety (IIHS) found that, among a sample of 115 crashes where a car collided with the rear of a tractor-trailer, about half sustained underride damage. Twenty-eight of the 115 accidents studied resulted in at least one fatality, and 23 of those 28 fatal accidents involved severe or catastrophic underride damage. The law currently under consideration by the Senate would require that the rear underride guards installed on commercial trucks be able to withstand a collision at higher speeds than what is currently required by federal rule. Trucks would also need to have side guards and front-end guards installed. “With so many unpredictable accidents on the road, underride guards are an easy solution for protecting people and preventing them from dying when a car collides with a truck,” explained the bill’s main sponsor, Sen. Kirsten Gillibrand. If you’ve been injured in a Washington large truck accident, find out if you have a right to money damages by contacting the dedicated, knowledgeable, and compassionate Vancouver personal injury lawyer John Lutgens for a free consultation at 360-693-2119.